Cineplex Canada Family Favourites Movies Today’s Home Alone Movie For $2.99/Ticket at 11:00 am! Good Morning! Cineplex Canada has a new movie every Saturday at 11:00 am for $2.99 per ticket. 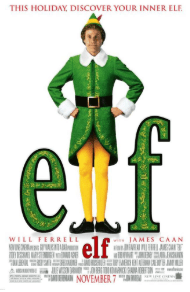 Today, Saturday, December 1, 2018, at 11:00 am the film Elf, Comedy, Family, Fantasy is the Family Favourites for $2.99 (1h 37m).